We are living in a society with full of information and knowledge and if we cannot create something new our of that, we fall behind in the competition. Since the Industrial Revolution, material civilization which was born from the revolution, becoming aggressively in the name of globalization expanded in the Western worldlike locomotive without brake. Therefore we are now in need of hunger about alternative ideology and unique way of thinking as the society being confronted by catastrophe. 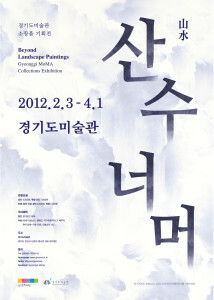 Gyeonggi Museum of Modern Art presents in this Spring after such a long and cold winter. 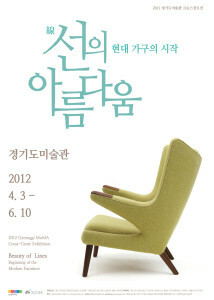 Beyond contemporary visual art but for giving the public more wide and various perspectives, the museum provide cross-genre exhibition showing practical artwork 'furniture' in our daily life and viewers will rediscover the beauty of it. 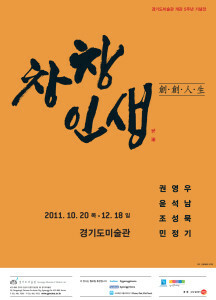 The GMoMA unveils A Lie Brings Bad Luck: The Adventures of Pinocchio, a special exhibition for winter vacation in 2012. The Adventures of Pinocchio, a novel for children by Italian author Carlo Collodi gave children around the world a moral lesson that lying is bad. We are still living in a world where lying is rampant. Adults and children dream of a world where nobody tells a lie, pointing out the evils of telling a lie. We are able to discover astonishingly diverse creative “art” in 460 works on display at the exhibition, such as fairy tale books, antique marionettes, prints, posters, videos, and specially directed sculptural works pertaining to the tale of Pinocchio that are housed in the Hermann Hesse Museum. This artists featured in this exhibition, all five of them from Korea's Gyeonggi Province, share the experience of artist residencies in the United States. 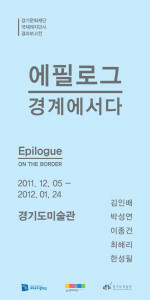 LEE Jong-Geong, CHOI Hae-Ri, PARK Sung-Yeon, HAN Sung-Pil, and KIM In-Bai were selected for the program in 2010 and 2011, and spent the time at the International Studio and Curatorial Program (SCP) in New York, the 18th Street Arts Center's International Visiting Artist Program in Los Angeles, and other residencies. It was an opportunity for them to experience rapidly changing international artists trends and examine new possibilities for Korean Contemporary art on the international art scene. Through the works on display, this show highlights the progressive artistic styles of Gyeonggi's young artists, along with the potential they present as Cultural intermediates who stand on the margin, paving the way for communication between the domestic and international art worlds. To mark its fifth anniversary, the Gyeonggi Museum of Modern Art presents Creative and Vigorous Lives, an exhibition shedding light on work of four artists who live and work in the Gyeonggi Province. 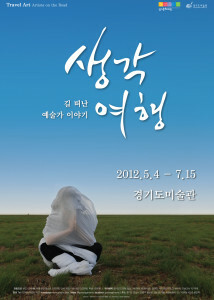 Kwon, Young-Woo who attained modern achievements in Korean-style painting; Yun, Suknam, the godmother of Korean feminist art; Cho, Sung-Mook raising sculpture to the object of thinking; and Min Jung-Ki encapsulating history and narratives in landscapes all are Gyeonggi Province artists representing Korean art of the times.